For its latest limited release beer, Mountain Goat tells us the inspiration comes from the Trappist monks of Belgium. "So, a big, rich, fruity, spicy ale then, right?" you may ask. Well, no. The inspiration comes not from the beers they brew but from the fact they brew beers for themselves. 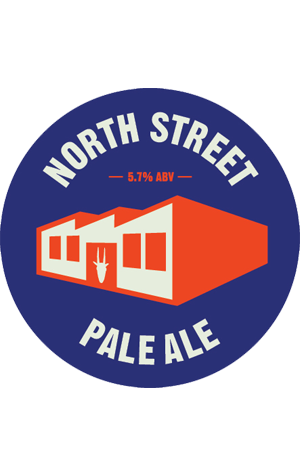 So the North St Pale is a tribute to their Richmond home, which is on the corner of North and Clark Streets (so maybe there's a Clark Dark to come). It's also a beer that pays tribute to their beloved US hops – and lots of them. The pale pale features Chinook, Mosaic, Cascade, Citra and Centennial, so unsurprisingly the brewers advise you to expect pine and stone fruit aromas and a "clean, dry, fruity palate". If that sounds like the sort of thing you'd like to drink in honour of Melbourne's original micro then you'll have to head to their home to do so as they're keeping all the kegs for themselves.